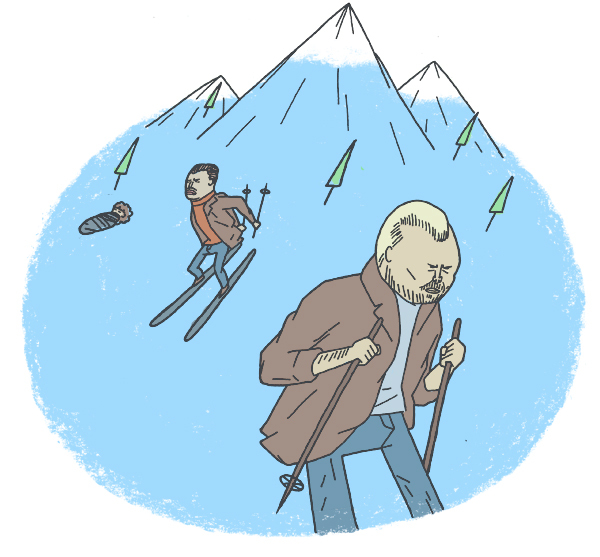 So for this illustration, I chose to depict both Gaear with his buddy, Carl, from the town of Fargo, North Dakota. Fargo is such a flatland. They got outta there for a bit and went to the mountains for some skiing adventures. They even brought Mrs. Lundegaard with them.